LOL! You don’t look like a Christmas tree at all! What an unexpected pairing but it really works! Thanks! It is my worst nightmare to look like a Xmas tree. Oh no, you don’t look like a Christmas tree 🙂 i love mint green as it can match any color perfectly. Thank you for your support! It was a very fun challenge. Thank you for your kind words 🙂 I agree with Elaine – not X-massy at all (and I would have panicked with red and green too)! 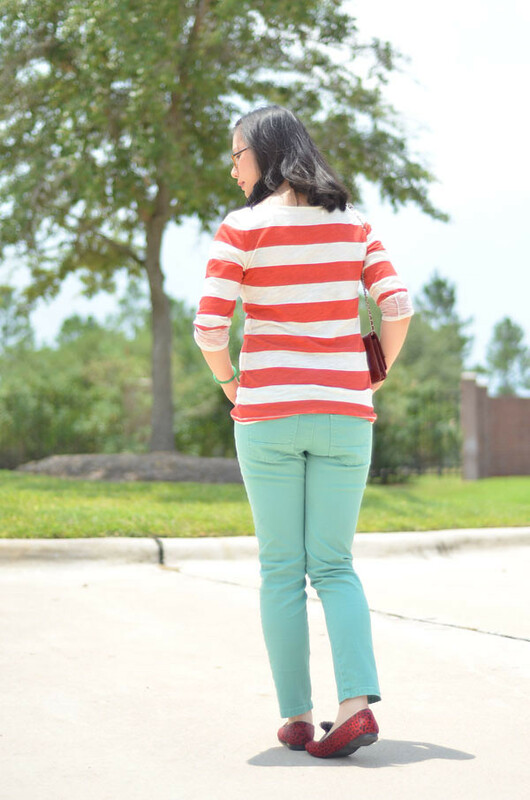 I love the red stripes with the mint – very pretty! Hoping your pink eye clears up soon! Amazing challenge SPG! Thank you! Great job not turning out like a Christmas tree!! 🙂 I really love the bold red stripes with mint!! No.. You don’t look like an Xmas tree 🙂 in fact, I love your pants ! Cute! Love our almost identical outfits…totally not Christmas tree-ish! lovely blog, want to follow each other?? Aw, you don’t look like a Christmas tree at all! Especially when pairing a mint green instead of the deep forest green we always see during the holiday season. Hope the pinkeye clears up soon! You still look wonderful, as usual. I hope you feel better soon! Haha i was scared of picking red and green for this challenge in fear of looking like a christmas tree too! lol! you definitely DON’T look like a christmas tree! Love this outfit! Glad you participated in the challenge! You totally did a great job not looking like a Christmas tree and translated the green to the color of the moment mint instead!! Lovely ensemble! I love the striped top! Thank you so much for your sweet comment, Helen! 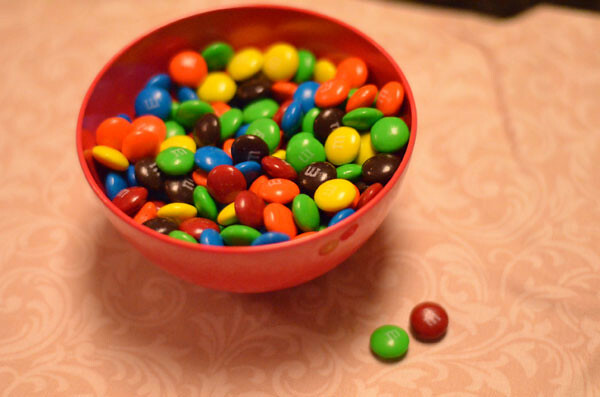 I got red, green and yellow. I was worried too that I would looks like a Christmas tree. You did not look like a Christmas tree. I love how you used the mint for your green. I hope your pink eye clear up soon. Such a lovely color combo! Love your pants!! Thank you for your comment! Really appreciate it.